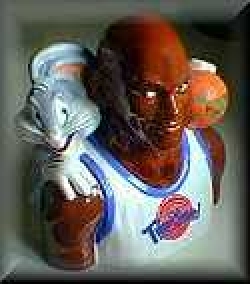 From the movie, Space Jam, Bugs Bunny sitting on Michael Jordon's shoulder holding a basketball. Cookie Jar. Mint condition.